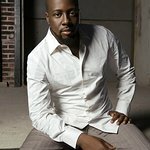 Wyclef Jean, Grammy-winning musician and record producer and co-founder of Yéle Haiti, will preside over the NASDAQ Opening Bell on Friday, July 23, 2010 at 9:30 A.M. The NASDAQ Opening Bell ceremony is scheduled to begin at 9:15 A.M. EST with a video presentation, visualizing the devastation of the earthquake that took place just six months ago in Jean’s homeland of Haiti, followed by remarks from Jean prior to the bell ringing and opening. The event can be accessed live on NASDAQ’s website. The ringing of the bell is a very meaningful event for Jean, who just returned from Haiti this weekend. “I’ve seen for myself the situation there. It’s still bleak: Rubble and collapsed buildings are everywhere. I need to continue to keep Haiti in the spotlight to make sure promises are kept to my people,” said Jean. In a series of national opinion pieces and interviews coinciding with the anniversary, Jean recently made a strong call to action to those who can help, as the conditions in Haiti worsen. Jean asked the Interim Haiti Recovery Commission to release $150 million of pledged funds in the next 90 days to carry out coherent public safety and security plans addressing current violence, kidnappings, abductions, rapes and sexual abuse rampant in the most vulnerable communities. 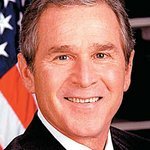 He also asked the commission to release an additional $150 million for rubble removal. Lastly, in the next 120 days Jean would like to see the commission’s leaders, the United Nations and former Presidents George W. Bush and Bill Clinton, commit themselves to collecting the billions of dollars pledged by the international community to the Haitian relief effort, making sure those promises are converted into actual cash, to ensure Haiti’s infrastructure is rebuilt and the country is on track for a new destiny. Yéle Haiti initiatives, such as sustainable housing, schools, health clinics and agricultural communities, are well under way and will allow Haitians to one day flourish independently. Yéle Haiti also continues to provide vital support to Haitians with daily supplies of water and food to communities hit the hardest by the earthquake. Working alongside community leaders in 34 tent camps across the country, Yéle Haiti understands the immediate needs of the people better than any other organization on the ground.